4 Beds 4 Baths 2,830 Sq. ft.
LOVE WHERE YOU LIVE! 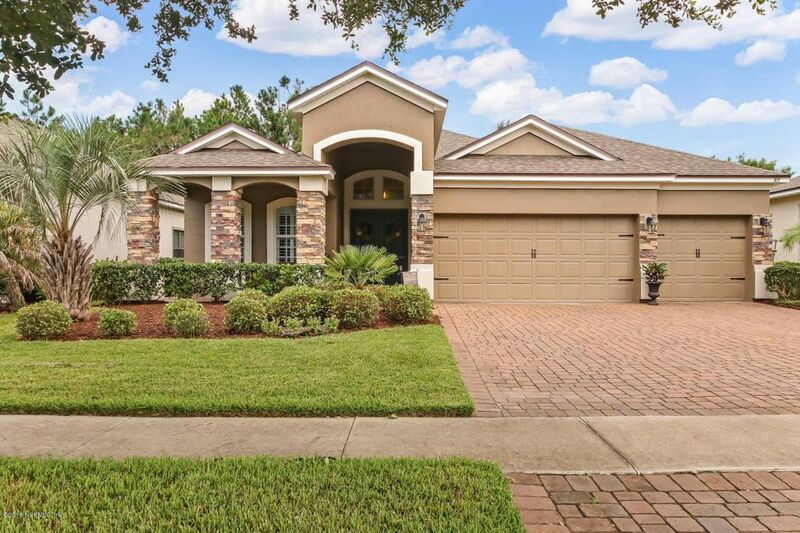 If you are ready for an active Florida lifestyle, welcome home! Austin Park is walking distance to A-rated K-8 Valley Ridge Academy and conveniently located to access US 1 and I-95. Just a short distance to the beach and the kayak launch. Nature trails abound along with award winning resort style amenities. This home is concrete construction with 4 bedrooms/ 4 baths. 2, 830 sf gives plenty of room to enjoy living comfortably with first floor open concept entertaining space including Family Room, spacious Kitchen, Dining Room, Office, all bedrooms and three of the baths. Large Bonus Room with full bath upstairs. Inviting front porch with stacked stone accents. Low maintenance yard with beautiful landscaping and back yard privacy fence.